I’m addicted to sayings and quotes. They are inspiring, motivating and they have the power to provoke new thought. They have the power to break down old beliefs and inject wisdom into your life. I’ve always gained inspiration from quotes and sayings, which is why I’ve decided to gather some of my favorite ones into this post. Each comes with an elaboration from me. The meanings will probably not be the same for you as they are for me, so use whatever I say however you like. I can only share my own experience. After that it is up to you. There are no guarantees in life. Even the false security of having a house, a family and money in the bank will pass. We all fear failure. It’s a learned habit. It is said that the only fears we are born with are the fear of falling and the fear of loud noises, the rest is learned. There’s nothing wrong with failure. In fact, if you never fail, you will never grow. I couldn’t agree more with this. The more comfortable I get with being uncomfortable, the faster I grow. When you’re moving forward and making progress, you will feel uncomfortable, and that’s okay. We grow up with the idea that we have to look for others for answers. Instead of seeking approval, look inside of yourself and feel what is right. We are all unique, therefore we are all on our own path. No one can tell you exactly what to do, because their destination is different from yours. When I read this, I think about our imagination and our fears. Almost all of us are suffering without a cause. The fear of fear is worse than fear itself. You’ve probably heard it many times, but that’s because it’s true. The bottom line is that you can overcome your fears and live the life of your dreams. The more you can let go of fear, the faster you will grow. I’m not talking about eliminating fear or being fearless. When I think about letting go of fear, I think about acknowledging it and letting it be there. There’s nothing wrong with being afraid. I’ve gotten many e-mails from people asking me for advice. The common thread that runs through them all is that they want to make sure they’re doing it right. My answer is always the same: you have to try, fail and try again. There are no guarantees. There is only the path. What is familiar is comfortable. Even though the familiar might be worse than the unfamiliar, we still tend to hold on to it, because going into the unknown is uncomfortable. Having the courage to go into the unfamiliar can be tough, but not impossible. It requires a shift in perspective. Become curious. Become an explorer of life. This is an adventure. This is another good take on courage. What we have to remember is that definitions and perspectives are constantly in flux. There are no absolutes. Courage for me isn’t the same as courage for you, which is why, in the end, you have to trust yourself. Most people are afraid to take action. Sure, they have ideas, but they don’t do anything about it. It’s scary to go down that path, which is why so few do. In the end, you have to determine what kind of life you want to live: one of mediocrity, or one of greatness? If you have trouble procrastinating and taking action, I recommend you check out The Now Habit by Neil Fiore. Dreams are important, but they do not come to fruition if you do not take action. Don’t procrastinate. Start living the life you want to live today. There is always a step you can take. There is always something you can do. If you never start, you will never get anywhere. If you want to find your passion, it starts with trying. You will fail, you will make mistakes, but that’s a part of the journey. If you’re like most people, you don’t know how to even begin living a passionate life. That’s normal, and there’s a way out. You may want to check out my premium course on that, Live Your Passion, where I share my story of how I went from miserable to doing what I love. I’ve found that going after my goals rigidly only makes me unhappy. I now make goals, but I am flexible about them. I am open to new possibilities. Having a goal is essential, but use it as a guideline and not as something you have to reach. Everything that you see around you will pass. Whatever success you may achieve will pass. Whatever failure you may run into will also pass. Depression comes and goes. Doesn’t that make you wonder if life is more than chasing success and avoiding failure? Following your passion isn’t effortless. I know many who think it should be, which is another obstacle holding them back from taking action. This is not a walk in the park. It’s a path of rapid growth. It contains both joy and fear. But you can change your life. You determine your happiness. There are several studies out there that show that even if you win the lottery, your state of happiness will return to its previous level in about a year. What happens outside of you is of little importance, as long as you have the basic necessities. Motivation ebbs and flows. When I started blogging, the first few months were easy, but then I started bumping into periods of low energy. Habit and a focus on helping people is what kept me going. I constantly reminded myself that this was what I wanted to do. And remember, you probably don’t know what motivates you. If you want to dive deeper, check out the book, Drive: The Surprising Truth About What Motivates Us by Daniel H. Pink. You are responsible for how you feel. You can blame external things if you want to, but it will never change how things are. It is only when you accept your own responsibility that you can take action. If you’re passionate enough and if you care enough, you will overcome any obstacles. Excuses will be a thing of the past, but if you’re not determined, you will let the smallest excuse hold you back. It’s time to Awaken the Giant Within. If you’ve been trying to make your passion a reality, do not quit. If something doesn’t work, all you have to do is change your approach. Look at people who are already doing what you want to do, and learn from them. Set your goals high and achieve them. Everything that has been invented has at one time or another been thought of as impossible. Don’t let other people hold you down when it comes to going after your dreams. Trust your heart and follow your highest excitement. I know you may doubt yourself when it comes to following to your heart, but the more you do it, the easier it becomes. The sooner you embrace an attitude of curiosity, the sooner you will start trusting yourself. So what if you make mistakes? Who cares? The people that can do the things they think they cannot do are the ones who succeed. Following your passion and living your purpose is not always easy. You can spend your whole life thinking and theorizing, but it is only through action that you gain clarity. I’ve noticed that theory can only take me so far. When I actually start taking action, things are much different than in theory. Sometimes you have to be the pioneer. The only limitations you have are the ones you impose on yourself. If you want a better, happier life, all you have to do is get started. It doesn’t matter if you believe yourself to be a slow learner, because if you never start, you never get anywhere. It’s better to start than to live a life of regret. This is an excellent follow up to #27. You can try to learn as much as you want, but if you do not take action, you won’t get any results. You cannot know everything before you start, so don’t even try. Just begin and expect mistakes. Learn from them and keep going. It can take a while to find your passion, but when you do find it, it’s your duty to give it your all. It’s not enough to find your passion; it takes hard work to make it a reality. If you need help finding your passion, I recommend you check out my book, Find Your Passion: 25 Questions You Must Ask Yourself. Unlike other books on the subject, it’ll help you dive into your inner wisdom, and uncover what’s already under your nose. Dwelling on past mistakes does you no good. You can change everything today if you want to, or you can keep living the life you’ve always lived. It’s up to you, but remember this: every moment is an opportunity to change your life. Your thought patterns and beliefs determine your life. If you are not happy with where you are, take a look at what beliefs are holding you back from having the life you want. Find your passion and purpose in life. Love what you do and the end result will reflect it. If you do the work with joy, you will have no trouble perfecting every detail. This is an excellent way of saying that once you start taking action, the pieces of the puzzle start falling into place. I’ve experienced this first-hand. It wasn’t until I showed the universe I was serious that I started getting “lucky”. You can do what you love. There are people just like you, doing what you want to do. I may have different strengths than you, but in the end that doesn’t matter. If I am more tech-savvy than you doesn’t matter. We all have to find our own path. You do not need a crystal ball. Knowing what steps to take makes life boring. Take life one day at a time. Enjoy the surprises life throws at you. Don’t look at successful people and feel like you are not enough. You are comparing yourself to someone who has worked hard at perfecting his craft. All you can do is start. If you want to get good at something, go do it. Keep an open mind when you are following your passion. There will be surprises and obstacles on your path. What impact they have is determined by you. You have the ability to choose if they are positive or negative. Be flexible. Be like bamboo, and you will lead a successful life. What your goal is doesn’t matter, as long as it is something that inspires you to take action. There are is no reason to be overly serious about what you do. Think back to your childhood years and your playfulness. Emulate it and your life becomes effortless. In order for you to be successful, you will have to go through trials. You will make mistakes, you will screw up and you will be scared. It’s a part of life, so stop running away from it and start running towards it. It’s easy to look at someone who’s already rocking it when you yourself haven’t even gotten started. It’s easy to forget that the one you admire has been where you are. It’s easy to forget, so remind yourself of the fact that we are all the same, and if that is true, you can do this as well, even if you doubt yourself. The most successful people are the most persistent. When I began my journey with making my passion a reality, I didn’t succeed right away. I spent years and thousands of dollars trying to learn. I didn’t give up, which is why I am here today. Take action. Take Action. Take action. I can’t say it enough. If you want something, you have to take action. Plan, learn and absorb as much as you want, but without action, you will never get to where you want to be. This is another good saying illustrating the importance of action. How many ideas you have doesn’t matter. The only thing that matters is that you take action! The human mind has a funny tendency of trying to make everything complex. It takes effort to keep things simple. The more stuff you can eliminate from your plate, the more you get done. Focus on simplicity. A great book on the same vein is Conversations with God Vol.1. We are all different. You have to find how you work and what makes you happy. Stop looking at others for answers and find your own. It takes time, but there’s no rush anywhere. Enjoy the process, because that’s what life is about. If you’re unhappy, you can’t expect something or someone outside of yourself to fix it. You are the only one responsible for your life. If you want to change and start living with passion, you are the one that has to act. There is so much war going on in the world. We need to start treating each other with respect. We are the same species. We are brothers and sisters living on the same planet. We are in this together. Everything that separates us from each other should be reconsidered. There is always more you can learn about yourself. Personal development is a never-ending journey. Once you think you know what you’re all about, life will throw a curve-ball at you and you’ll discover new, subtle facets. Take it easy. Once you’ve rushed enough in your life, you will realize that there is nowhere to go. The need to go fast comes from a feeling of lack. This feeling can only be remedied from where it originates—the inside. This should be the religion of all people on earth. What good is a religion if it separates us? Who cares if your god is better than mine if all it leads to is hatred and war? It’s time to sit down and think about what we’re doing. You may think that being successful or having something will make you happy, but do you really believe that? Once you have strived enough, you may start questioning what society has taught you. We do need the basics, but no more. If you want to be happy and at peace, look inward. Do not overanalyze. Err on the side of taking too much action, rather than thinking too much. Most people are thinkers, because it is easy, but few are doers. It’s hard, frustrating and sometimes painful, but it works. You have to beat this point into your head: take action, and do it now! The stars will never align. Circumstances will never be perfect. The sooner you get started, the better off you will be. You will have to make mistakes, because it is the only way. The human mind wants to complicate. It takes awareness to keep things simple. It is only when you embrace simplicity that you start to realize how much you are capable of. Another great book on this, by a friend of mine, is Simplicity. It’s a very short kindle book, but definitely worth the read. You already have everything you need. Be grateful for the things you already have. It’s easy to get caught up in the drama of life. Focusing on negativity is easy, but focusing on the positive is what makes a difference and spurs you into action. Instead of telling people what to do, go and do it first and then speak. I have had more than a few people tell me that they were going to do something, and they never did. It doesn’t leave a good impression. Always maintain the beginner’s mind. Whenever you think you’ve got it, you’re mistaken. You are never too old to play. You are never too old to have fun. It all comes down to your perspective. When you face your fears, you grow stronger. Each time you do something you’re afraid of, it becomes easier. This has been true in my life, so I have no doubt that the same will be true for you. When you start out, it’s hard, but it gets easier. Trust me. Be aware of the actions you take and the consequences they have. It’s easy to act in haste. It’s easy to do selfish things. They may look good in the short-term, but in the long-term you’ll be digging your own grave. The same goes for going after your passion. It may be hard in the short-term, but it is more than worth it. When Michael Jordan was a kid, he was horrible at basketball, but he kept failing, practicing and trying, which is why he became great. If you want to make something happen in your life, you have to start failing, trying and moving forward. Everything around you and inside you is constantly changing. The people that resist this process are the ones constantly whining and complaining. They are in constant internal agony. Keep going, be curious, ask the right questions and remember to breathe. There is no rush anywhere. The perfection of life lies in the ability to accept the perceived imperfection. This is why I recommend you find your passion, because life is a process that never ends. If you find something you love doing, you will be at peace. If you strive for a big payday, you will be striving even when you hit your goal. Have plans, but do not be rigid. Be present and focus on each task. Thinking about an end goal will cause stress, because your mind is focusing on the future, on lack, instead of focusing on what’s in front of you. This is such a simple quote, yet so powerful. If everyone lived by this, the world would be a better place. Treat others with respect and kindness, because that is how you would like to be treated, right? One day you will die. Why not make your life worth it? Every fear you have will disappear. They only exist because you have given credence to them. They exist because you allow them to. You don’t have to re-invent the wheel if you’re starting something new. It’s perfectly okay to learn from someone who’s already been where you want to be. You determine your success. No tools, strategies or courses can do it for you. If someone has resolution, but bad tools, he will succeed. But it someone has poor resolution and the best tools in the world, I certainly wouldn’t bet on him or her. We’re all going through this journey together, and we all have our own problems. Remember to be kind. Remember others, because you are not the only one that has problems. Focus your energy on being kind and helping. You will see a difference in your life. There is nowhere to go. There is nowhere you have to be. Happiness comes from within and looking for it outside of yourself will only lead you deeper down the rabbit hole. Read the Power of Now for more on this. It’s one of my absolute favorite books. It changed my life. And I don’t say that lightly. You have to be willing to take risks. I’m not talking about going for broke with a slim chance of success. I am talking about jumping into the unknown and going after the things that excite you, even if you are afraid. Take whatever you’re procrastinating on and do it right now. Get into the habit of using your awareness of procrastination as a trigger to take action. When you make it a habit, you are no longer slave to that which we call procrastination. Time is an interesting beast, because it is relative. Put your hand on a stove and time moves slowly. Watch an excellent movie with someone you love and time flies by. You can do a lot of busy work. Actually doing the work is when you get results, but it’s hard and we tend to procrastinate a lot. If you’re just going to be busy, you might as well do something else. Do something that matters or nothing at all. Remind yourself to be present with whatever you are doing. Keep your focus on one thing. Avoid multi-tasking. It doesn’t allow you to get into the flow and dip your soul into the eternal nature of all that is. There is nothing wrong with wasting time. I tend to force myself to work, so I’ve had to learn that wasting some time and having fun isn’t a deadly sin. It’s essential to a happy life. We all dwell on the past too much. I know I do. Don’t let your past determine your future. Focus on what you want to do, and go do it. Release the past and step into your potential. Remember who you really are. Last, but not least, remember to enjoy your life. Remember to be grateful for the little things. Remember to be kind to the people around you and remember to follow your heart. And of course, remember to read inspiring quotes on a daily basis! To me, life comes down to doing what you love and living a life that makes you grateful to be alive. For me it all started with finding my passion and then relentlessly making it a reality. It took time, I made mistakes, and I wasted a lot of money, but today I get paid to do what I love. It sounds cliché, but it’s true. If you want to learn more, I have plenty of articles here on the blog, and plenty of videos, so have a look, and have a great day. 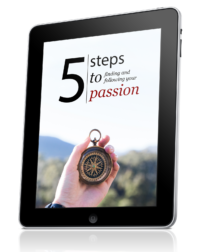 Join the exclusive newsletter and grab your free report: 5 Steps to Finding and Following Your Passion. Thanks for putting these together Henri. Beautiful pictures and fantastic quotes. I like how you added your own thoughts below each quote.. Made me think differently about some of them too. Always looking for great quotes and a collection of them is even better…..sweet! Thank you! Thank you, Farnoosh! Quotes are quite addictive. I like that one, a lot! I completely forgot about Michelangelo. Shoot for the moon. Even if you miss, you’ll land among the stars. No matter how cheesy, this is by FAR my most favorite quote. It sums up the essence of my life – to boldly go to the limits. Raaaaaaaaagh. I can feel the fire pushing through my veins already – it’s here, it’s raw. Great blog, Henri. Found you through Diggy. Go to the limits and beyond. That should be the mission of each man, women and child on this beautiful, blue planet! What an incredible compilation! I just bookmarked this page to keep coming back to! I definitely left out a lot of great quotes. There are thousands of them I’d like to include, but there isn’t enough time. Thanks for sharing that quote. I’ve never seen it before, but I like it! This is less motivational and inspirational than one might think. Okay, mind, they’ve heard enough from you. Even successful people feel the way you are feeling. You can stay in the same place and dwell on what’s wrong, or you can start taking action right now and realize that that’s the only thing you can do. I could find plenty of negative stuff to focus on in my life, but I choose not to. Take action and follow your heart. There could even be a reason behind what has happened. You never know. I think I need to go to bed. be more people like you in this world . Your type are not cowards who just wish they can sleep their life away , and not contribute anything to society . for people like Henri ! That’s been especially true for me in my life. We are not always full of energy and motivation, but if we know where we are going, all that matters that we move even just a little bit towards the goal every day. That way, we will eventually reach the goal, and the journey will be full of joy. I love quotes too. Especially liked Bruce Lee #26; so zen! Great post Henri – glad I finally found you – I’m a little bit addicted to quotes myself. yes, it’s a quote from a movie and only speculation that the real William Wallace said it, but… one of my favourites is: William Wallace: Yes. Fight and you may die. Run and you will live, at least awhile. And dying in your bed many years from now, would you be willing to trade all the days from this day to that, for one change to come back here as young men, and tell our enemies that they make take our lives, but they will never take our freedom? This is a great post with some wonderful quotes! I’m always capturing quotes when I run along one that inspires me, and this is a great list for reference. An ah ha quote, I don’t know if anyone else said it before me.. but it changed my life when I realized it. Great stuff. Bookmarked for when I need a source of motivation, inspiration or a swift kick in the rear. Thanks! I shall take action now! Great collection of quotes. I like to tweet quotes to give people inspriation and something to think about. I am going to tweet a link to this post right now. Fantastic list. Thanks for the effort.